Can you give a brief summary of the first leg to make it possible to assess the approach of both teams in this match? 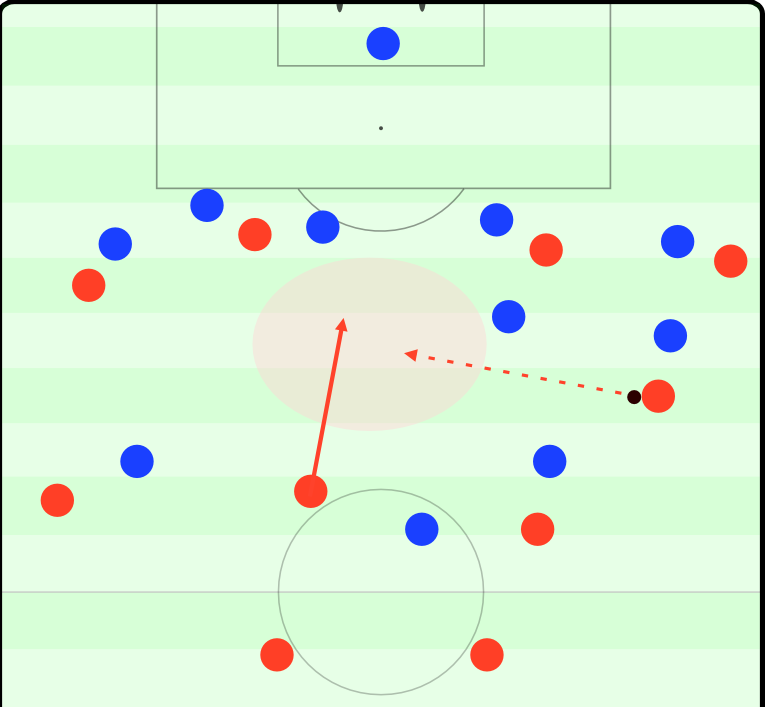 As Roma won at home they weren’t forced to change much (never change a winning team) and therefore I assume that they also used man-marking in central midfield in the first leg. 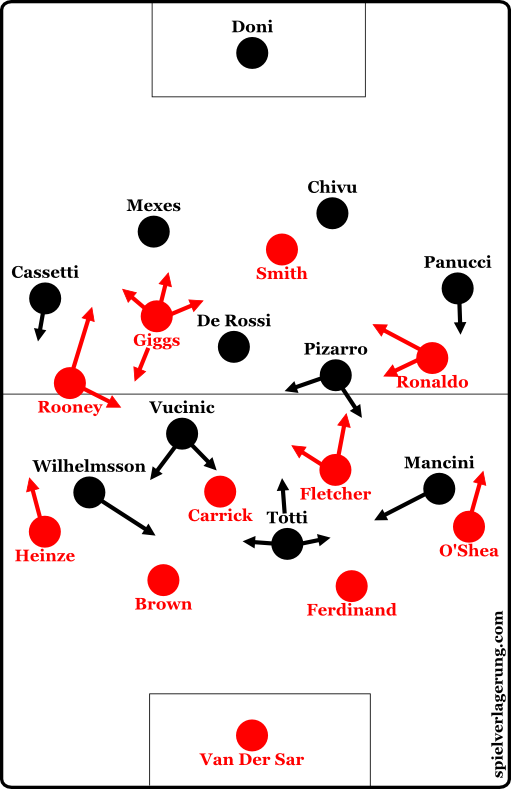 Consequentally I think that SAF instructed the evasive movements of his midfielders to drag the opponents out of position, but not till he lost in the Eternal City in a more static approach. Am I right?